Before, our largest size for the full bucket type seats were the Type L, where a 38 inch waist was a snug fit. Now, with the type XL, some what larger body sized personnel can fit. Maximum size will be about 42 inches. 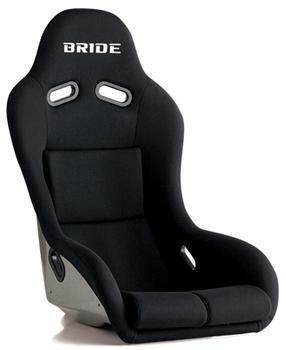 Since this model is wider then the regular BRIDE full bucket models, there is a new seat rail application added. It will be the Type XL seat rail. This seat model is US limited.